You wouldn’t believe how difficult it is to keep a straight face when someone offers you a “five vegetable experience”. Especially when you’re lying on a treatment bed, trousers and top removed, draped in fluffy towels. But keep a straight face I did, even when I was offered my “Happy Welcome Massage”. There was me thinking that it was supposed to be a “Happy Ending”! Oh, the joys of language barriers and immature innuendo. Docteur Renaud is a brand that was previously very hard to get hold of in the UK – it’s a French brand, mostly sold in salons – but it has now gone into the new Marks & Spencer Beauty department. (Read more about the new M&S Beauty offering here.) The products are young, fresh and fragrant – all of them based around some kind of fruit or vegetable extract. The idea is that the products are all “feel-good” – I think that the term used was Happy Cosmétologie, and the fruity scents certainly have a positive effect on the senses. 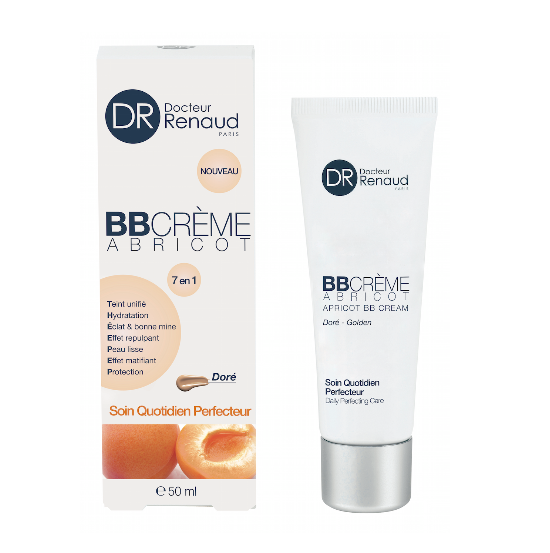 My facial ended (this bit I do remember) with the application of Docteur Renaud’s new Apricot BB Cream. Now, do not get me started on the whole BB (TINTED MOISTURISER!) thing, because I’ll never stop. This one is a slightly tinted moisturiser that leaves a healthy glow and almost a ‘blurring’ effect on the skin. It has mineral sunscreens and mineral pigment to reflect light away from imperfections and the tint is quite warm, so it gives a slightly tanned effect. Not one for very fair skins, I wouldn’t say – the light shade is spot-on for me, but I’m a fair/medium. I can’t see this BB Cream online anywhere, but it’s in the M&S Beauty spaces now priced at £24.30. You can see the online M&S Beauty products here.